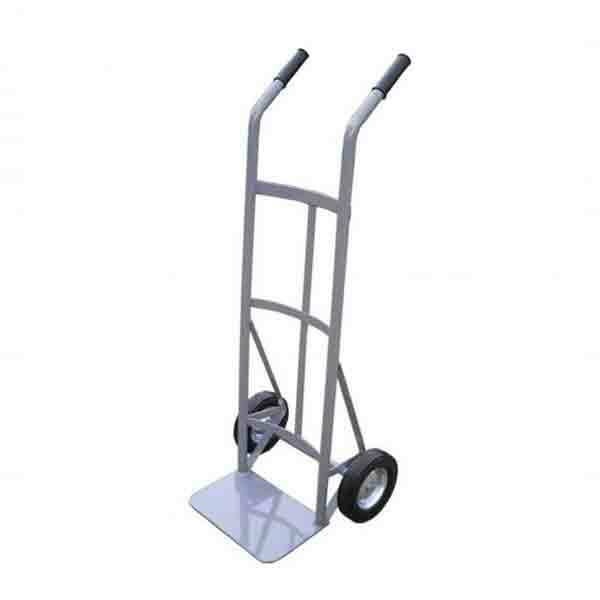 Stainless Steel Hand Truck: Steel Dual Handle | Mat-Pac, Inc. 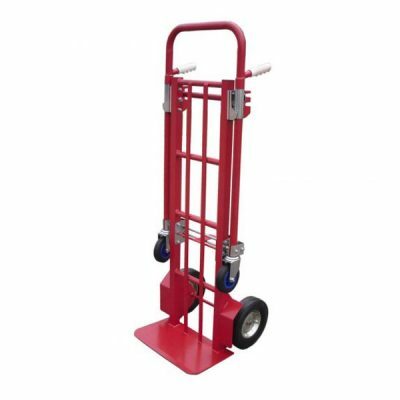 Heavy Duty Steel P Handle with 10″ pneumatic wheels for smooth material handling over all types of terrain. 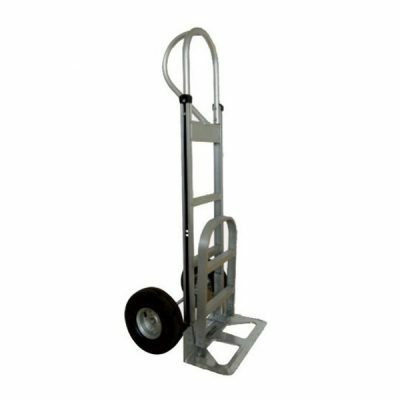 800 lbs capacity for transporting the heaviest of loads. 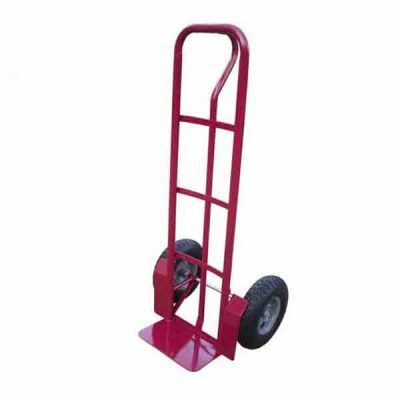 This unit has a14″x9″ beveled deck for easy loading. Powder coated finish to resist corrosion.